Mecca is the Capital of Makkah Province in Saudi Arabia. It is the holy city in the religion of Islam. The importance of Mecca for Muslims is inestimable. All Muslims, wherever they are on Earth pray five times a day in the direction of the Kaaba in Mecca. It is the birth place of Muhammad, who was a leader from Mecca who unified the tribes of Arabia into a single religious polity under Islam. He is believed by Muslims to be a messenger of God. He was considered as the last prophet of God. He born in Mecca on April 26th, 570 CE. The Historical record suggests the Mecca was settled around the 4th century A.D. the Yemeni tribe of Khuzaah, joined, by Mohammed’s tribe the Quraish. The Mecca is governed by the Municipality of Mecca, a Municipal council, locally elected members headed by a mayor appointed by the Saudi Government. 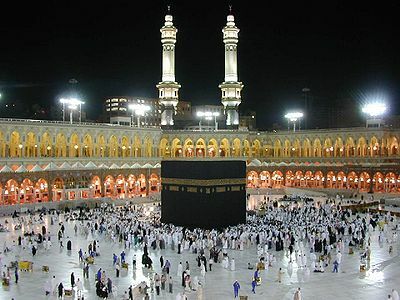 The Kaaba is a cuboid-shaped building, and is the most sacred site in Islam. The Kaaba was built around the early 5th century likely by Asad Abu Karb, for Arabian Star family worship after the black stone made its way to Mecca, most likely from Yemen. Mecca is revered from being the first place & first temple created on earth, as well as the place where Abraham together with his son Ishmael, built the Kaaba, kaaba is the center of Islam. Every Muslim is obliged to travel to Mecca and perform the Islamic ritual of the Hajj at least once in their lifetime, because it is the fifth pillar of Islam.